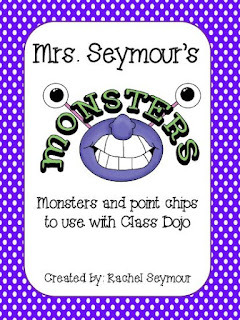 A - B - Seymour: Class Dojo Freebies! 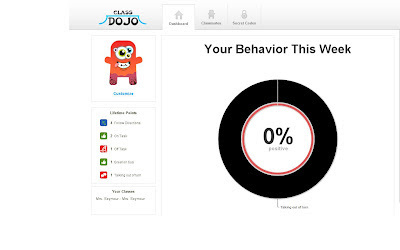 Have you heard of Class Dojo?! I have to share this great resource with you. 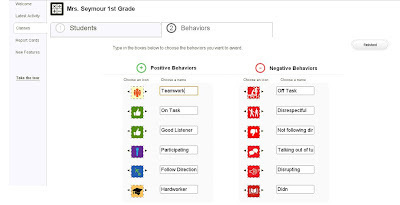 It is a FREE and VERY EASY to use classroom management tool that my school has started using this year. Our school was able to hire an assistant principal this year and he shared this great tool with us. Now quite a few teachers at school are using it. I absolutely love it and my kiddos are crazy about it!! 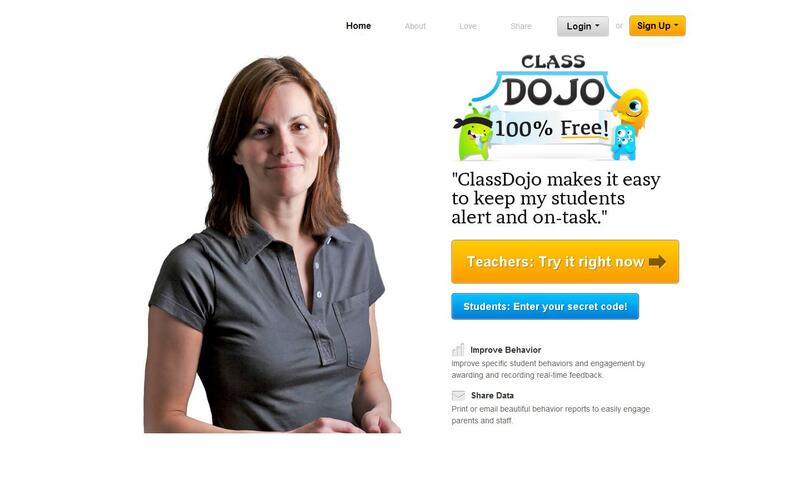 The website is www.classdojo.com and it is completely free! 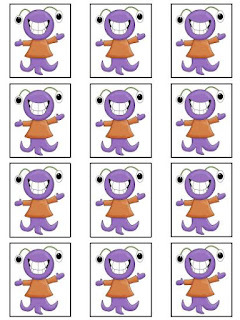 Basically every student has their own avatar (silly monster) and they can earn points for positive behaviors (you pick) or lose points for negative behaviors. The website keeps track of how many points each kiddo has. Teachers, Parents, and Students can create accounts and log-in. It only takes about five minutes to register your class. Just go to the website, click on log-in as teacher and create your account. Once you list your students' names you're ready to go! 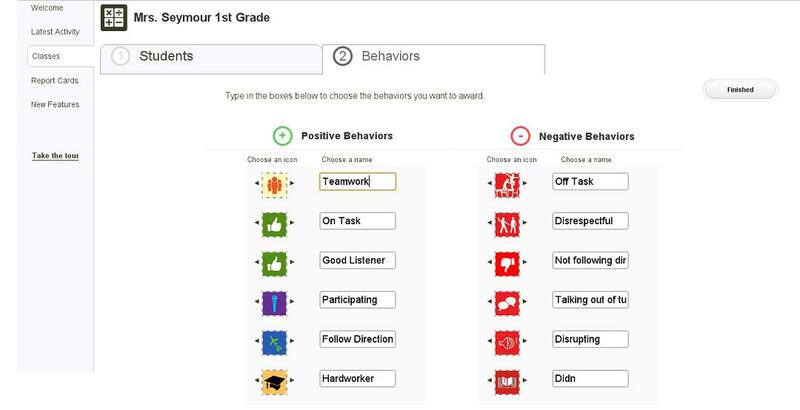 When you first log in there will be a list of positive and negative behaviors already there. You can use these or modify them and make your own. I have been adding behaviors as they come up in class so that parents know exactly why their student earned or lost a point. Just type in the behavior you want and choose a picture to go with it. Easy-Peasy! Now you just click on your kiddo and give or take a point. A list of all the behaviors will show up and you just click the one you need. It also makes a noise so the kiddos can hear it. They will know if someone earned a point or lost a point. 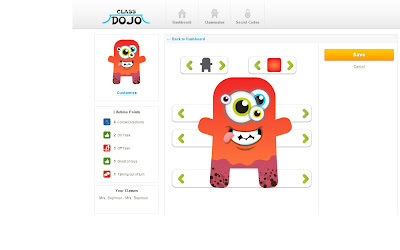 You can also use your iPhone or iPad with Class Dojo. They have a new app and it's wonderful! I wanted to see what my students and parents saw when they logged in so I created an avatar for my hubby first and then for myself. I'm always teasing my kiddos that I earned a point for something good I did so they thought it was great that I have my own avatar. The 3 and 5 are how many points we have earned. :) The circles are green because those are positive points. They turn red when students have negative points. At the end of the week you will see this behavior report. This is my entire class at the end of our week a couple weeks ago while I'm logged in as teacher. You can enter an email address for your parents and send them an email each week showing their child's behavior report. They will only receive their child's report, not the entire class. For kiddos who don't have access to internet at home, you can create a student account for them using your email address and then when you email the reports out print theirs and send home a paper copy. This is an individual student's report. It's actually for my avatar which is why there is a 0% on the chart. I didn't earn any points that week! :) It lists how students earned and lost points on the side so parents know how their kiddo is doing. You can also include a comment for each day so if you need to explain something you can leave a comment for parents. So far I have just written a quick note to congratulate the kiddos that have gotten 10 points. One of the coolest things about Class Dojo is that students can log in themselves and create their own avatar anytime they want. This is the one I created. I did have a very smart little girl ask if they could give themselves points when they log in as a student and of course they can't. Wishful thinking on her part though! :) When I first logged in I let my kiddos choose which avatar they wanted. There is a list of ones they can choose from. When they log in under student they can actually create their own avatar. You just need to send home their student code so they can log in to your class. My kiddos love this and always let me know when they have changed their avatar! I'm really learning as I go, but so far this has really increased good behavior in my room. I have used classroom dollars for the last several years, but this year they earn/lose points. We decided that when students get to 10 points they can earn a reward out of my Rockin' Behavior Reward Catalog. Students can choose from wearing their hat all day, bringing in a favorite stuffed animal, or eating lunch with me. My first student to get to 10 chose to read a story to her brother's kindergarten class. She felt like a total Rock Star and her brother really enjoyed it too. My kiddos are so eager to choose from my FREE rewards and I am only too happy to let them since it's not costing me a penny this year!! Woohoo! :) Click here to check out my Rockin' Behavior Reward Catalog. To help keep track of when my kiddos earn 10 points I have created these little monsters and number chips. It was getting tricky last week to remember because even after a kiddo gets to 10 they can lose points and go backwards. When they get to 10 again they are not earning another prize. Our deal is for every 10 points they get a reward. 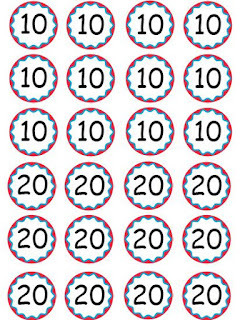 After they reach 100 they will have to earn 20 points for a reward. That's the plan for now. We'll see how it goes throughout the year! I hope that explains Class Dojo and how amazing it is! You can make it very simple or give prizes like I do. Whatever works for you!! If you have any questions, feel free to ask and I will help you if I can! If you're already using Class Dojo I would love to hear about how it works in your room! I just posted on Class DoJo too! Then I saw yours :). I'm still using a clip chart for my elementary kiddos but went to dojo for my middle school students because they can be hard to motivate. They absolutely love it! I have had several students go online and change their avatar. I love your go-along materials that you've made :) Thanks for sharing! Thanks ladies! I actually still use both my clip chart and Class Dojo since my kiddos and parents are used to the clip chart. If they earn 2 points they move their clip up and if they lose 2 points they move their clip down. I found ClassDojo by just looking for new behavior ideas and in my room, their goal is to earn 10 points each week, if they do, they can pick a prize from the mystery egg prize box or save them for bigger prizes. Our school uses a cart that comes around every other week and one lucky student in each room gets a big prize off of it. We don't get the cart because we are not there in the afternoons, so I made my own. The kids love it and really try to earn and save up their points. Will definitely be using your monster/point chip chart! What a great idea. I also created a rewards system. Most of mine seem very familiar to yours, not sure what Lovin' Lunch is, but I had a reward where a student could have lunch with a friend and myself in the classroom (40 points). They loved that one. Side note - I really wish teachers could create their own avatar! What's with only 6 pre-made ones!? Happy Fall TpT Sale- 50% Off!! Fantabulous Friday Freebie and Happy Fall Sale!